“Traveler, there is no path. The path is made by walking. We made the drive in September, the beginning of the season when day slips early into dark. 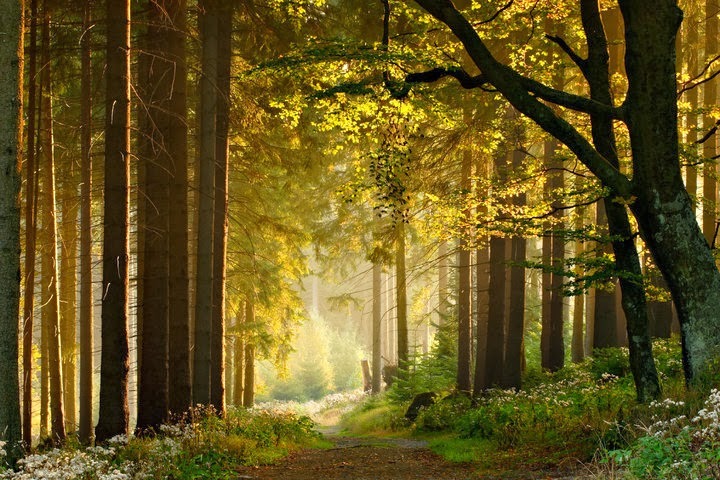 My husband Ron says that fall is the time when the older folks in the Texas Hill Country pass away, and the death in autumn of his father, two uncles, and an aunt lent support to that belief. We’ve taken the route dozens of times over the past 20 years, through small west Texas towns, skirting farm and ranch land now stressed by drought. This time, instead of our usual visit to family, we made our way to say goodbye to Ron’s mother, Alta Wilhelm. Over the years, the road and the destination helped my mind birth stories. The rolling hills covered with cedar inspired Guadalupe of the Angels, a novel set in the turn of the 20th century about the friendship of two farm girls, one Mexican and one white, one the daughter of landowners, the other of sharecroppers. Along with travels through East Texas, the landscape of the countryside about an hour north and west of San Antonio easily places me in a world of 100 years before. As we approached our final destination, the weight of sadness fell slowly, a vague feeling in the quaint German town of Fredericksburg that thickened the closer we got to Kerrville, the town where my husband Ron was born and where his mother had died just a few days before. Mundane places along the road—grocery stores, diners–melded into recollections of the past and acted as reminders of what would never be again. My mother-in-law, Alta, the epitome of a homebody, set out in the 1940s for Washington, DC., and as part of the Women’s Army Corps, was posted in the US capital. There, Alta served as a cryptographic technician, a decoder stationed in the Pentagon. Her work along with the fragmented decoding of other pieces of a message were compiled in another place. One of those messages revealed information on the dropping of the atomic bomb. To have left at a young age to travel to an unfamiliar place must have been a disconcerting trip for a girl from a small town in Texas. A few weeks before her death, Alta made the same journey to the Pentagon at 92 years old, this time in a wheelchair, and visited the Tomb of the Unknowns and the World War II memorial. In the 70 years between the two trips, she preferred to stay close to home, to be surrounded by the familiar. The path throughout her life was often short and safe. Her son took a different route–we have traveled to Chile, Guatemala, Peru, Paris, Spain, England, with plans to travel more and often. Each journey has changed us because we want to be changed by them. Alta was more comfortable with the safety and security of what she knew, which makes that decision to set out for an experience thousands of miles away even more amazing to me. We will make the Hill Country trip again, leave north Texas for the southwest of the state via Highway 67, but it will not be the exact same road. The regular stops will not be the exact same ones. The stories to be revealed will be new ones. Vicki Caroline Cheatwood is an award winning playwright and screenwriter with seven full-length plays and several shorter plays to her credit, in addition to screenwriting projects that include one recognized at Cannes. In 2002, her screenplay Air (Escopa Films) won the Special Jury Gold Award at Worldfest Film Festival, and in 2005, the dark comedy feature 10:10 was a finalist in the Austin Film Festival. She has been a finalist for several national play writing honors, including the Heideman Award (The Risen Chris, Actors Theater of Louisville), The Julie Harris Playwright Award (An Hour South), and the Eileen Heckart Drama Award (Manicures & Monuments). One of her more recent plays is the powerful, Ruth, a beautiful re-imagining of the Hebrew/Old Testament story of Ruth and Naomi, set in contemporary America and focusing on the issue of immigration and displacement. While we talk, Vicki and I are sitting on the terrace of this beautiful home on Lake Como in Italy drinking frothy glasses of San Pellagrino and enjoying slices of a wonderful pie. For those of you in the Dallas, Texas area, Vicki’s play “Manicures & Monuments” opened June 2014 at WaterTower Theatre in Addison. KB: Vicki, talk a little about your work. What are the projects you’re most proud of? VC: Right off the bat, PUP Fest comes to mind. It’s the annual young playwrights festival produced by Kitchen Dog Theater and Junior Players of Dallas. I’ve been involved with PUP Fest since the beginning, something like 13 years now. It’s amazing to think of how many young artists – writers and actors – who have been positively impacted by the program. Very cool! KB: I like to focus on imagination and inspiration in our storytelling. What’s the most unusual thing that’s ever inspired you? VC: Road trips have always been a big source of inspiration for me. My play “Manicures & Monuments” began as a “Hey, what if…?” question to my husband, as we were driving down the highway in his red Ford Ranger. On another road trip – probably in that same little pickup – headed east from Dallas on some little two-lane highway, Mark was driving and I was looking out the window. We passed this little house situated right off the highway, a little old farm house, and there was a man sitting on the porch, a farmer, dressed in his work clothes, but he had a cane. We were going 60, 70 miles an hour, so it was just a flash of this image, but it really hit me. This old man, still getting up and putting on his overalls, hat, boots, jacket – but he’s not able to work anymore. I started thinking about all the other porches, and all the other people who sat on them, sidelined, unable to participate in their own lives anymore. I jotted down some notes, and went off and wrote a play about life, death and religion: “Fits & Starts: The Sacred Heart.” It ran on Off-Off-Broadway, and was reviewed in Variety. It bombed, but hey, it was reviewed in Variety! KB:Wow! Off, off broadway and a review in Variety. That’s more than cool. I’m intrigued to know more about your screenwriting projects. I’ve heard of Cannes. Never been there. Have you met George Clooney? Sorry, I digress. VC: It’s one of the biggest honors of my life thus far, to say that I had a film that was screened at the Cannes Independent Film Festival. The producer/co-director of the film, Keith Oncale and Shawn Washburn, the other co-director, did fly to France for the screening of our film “break.” There was no way that I could go. Even if I’d had the money, my husband was very ill and in treatment for throat cancer. The day of the screening, I walked around at work struck by this odd, vague depression of having something so huge happening, and being so disconnected from it. I finally told one of my coworkers, “Hey I wrote a movie, and it’s screening at Cannes in France today.” She said something like “Wow, really?” and then we went on with our work. That whole period of time seems like someone else’s very bad dream. And damnit, I didn’t get to meet George Clooney! KB: I didn’t realize that this was all going on during that very difficult time in your life. That has to have been very tough–having something that you would have celebrated come right in the middle of that bad dream. I originally had an interest in screenwriting, but it seems so dog-eat-dog-steal-idea business, something I don’t worry so much about when writing fiction. What’s your take having been closer to that business? VC: I like writing screenplays, but I don’t think I’m a screenwriter. I like the challenge of writing pictures, visuals, but my gift is writing dialogue. As far as the business goes, other than my two produced short films, I’ve had very limited success in screenwriting. I have two feature-length screenplays that got circulated around and got great feedback, but that’s as far as it went. I was a finalist one year in the Austin Film Festival, which gave me close access to some big name producers, writers, actors and agents, a couple of whom seemed interested in my work…and that’s as far as I got. My friend Stephen Dyer, a producer and screenwriter who’s had good success, likes to say, “Hollywood is the only place where you can die of encouragement.” He didn’t originate that quote, but he’s sure lived it. As have my other friends who have done very well in films and television. Probably the best advice about screenwriting that I’ve had as a writer came from the very fine actor Donal Logue, who brought a film that he’d directed to the AFF that same year that I was there. He told me to play to my strengths, to keep writing plays, and that they – meaning Hollywood –would come looking for me. And he was right, to a point. After the Austin festival, they did. Nothing came of it, so far, but I’ve had a couple of thrilling phone conversations. There’s not much more exciting and strange than taking a call from big-name producer, while you’re at work crouched behind a counter, wearing a zoo uniform and praying that nobody comes in. KB:Maybe someday you can wear that zoo uniform to the Tonys when you accept your award for best play. It paints a great picture. Since I’m currently working on my own Biblically-based novel, a re-imagining of the life of Mary (Maryam), the mother of Jesus, I’m most interested in how your play, Ruth, came to be. How was it originally conceived? VC: The seeds of “Ruth” came from my participation in a Disciple, an intensive and brilliantly designed study course that looks at the Bible as literature and history, as well as theology. I had such a rudimentary understanding of the Bible before going through Disciple. The stories really came alive for me, especially Ruth’s. KB: In addition to “Fits & Starts: The Sacred Heart,” have the Bible/religion or Biblical characters inspired you in other ways? VC: I wrote a short play about Jonah, a vaudeville/comedy. I love Jonah. He’s so me. Pissed off at God, and constantly running off in the opposite direction. And the story of Jael, the housewife who drives a tent stake through her enemy’s head. That one really stuck with me. Pun intended. KB:Ha! I must learn more about this Jael. I, too, sometimes feel like I’m being pulled dragging and screaming toward my own Nineveh. Of all the plays ever produced, what play do you wish you’d written? VC: A cash cow! One that runs forever, and ensures that even if my sons grow up to marry women who can’t stand me, I’ll never end up living in a government-funded nursing home. Seriously – I wish I’d written “My Big Fat Greek Wedding.” Something that real, charming, funny, and grounded. And, fundable by the wife of a major celebrity. VC: Me and George Clooney, but of course. Take a minute and sign up for my monthly newsletter. First issue starts in September 2014. See the sign-up at the right. This week is all about Middle Grade: writing it, indie publishing it, and especially marketing it! As you may know, reaching those elusive middle grade readers is tough, doubly so when you’re indie published. Plus there are giveaways (see below)! 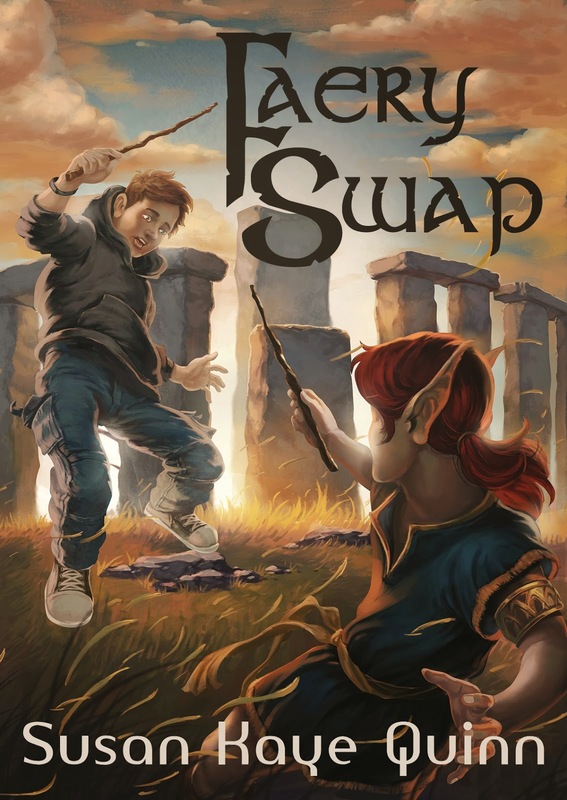 Warrior Faeries and Math Magick: How Susan Kaye Quinn is using a Virtual Author Visit video and Teacher’s Guide to reach readers with her MG novel, Faery Swap. Faery, Fairy, Sweet and Scary: a discussion with MG author Kim Batchelor on writing about Faeries in kidlit. Sci Fi for the Middle Grade Set: a discussion with MG author Dale Pease about writing SF for kids. Writing Indie MG: a roundup of indie MG authors (Michelle Isenhoff, Elise Stokes, Lois Brown, Mikey Brooks, Ansha Kotyk) about why they write MG and how to reach readers, including their indie MG author Emblazoner’s group catalog. Marketing Indie Middle Grade – The Hardest Sell – about reaching MG readers as an MG author. Most of us are introduced to Tinker Bell and fairies as cute but contentious little creatures that, if we are lucky, we might find in the bushes outside our window. But in the Irish and Scottish myths that gave birth to these creatures, they were not always sweet or cute. The original faerie (or fairie, if you will) stories came from myths about the Tuatha Dé Danann, a race of people in Irish Mythology gifted with supernatural powers. Fairies were known as aos sí, aes sídhe, or simply the sidhe, and some—like the banshee or bean sí—were in mythical reality faeries who wail near those close to death. (And hence the term “screaming like a banshee”.) Yikes! Imagining (and reimagining) those faeries has been happening in literature ever since. Today, Susan Kaye Quinn and Kim Batchelor chat about the kind of faeries they have in their middle grade fantasies, and where the inspiration for those stories came from. Sue: Kim, you have the classic Tinkerbell fairy in your Peter Pan re-imagining, The Island of Lost Children. But first, tell me a bit about your (not yet released) book, The Mists of Na Crainn, and how you imagined the fairies in that story. Kim: Several years ago, while driving home after an evening of teaching, I learned a few things about fairies that I never knew. Throughout the journey on a long stretch of highway, a Celtic music station played a series of eerie songs in recognition of the night before Halloween. Faeries kidnap mothers and their babies and take them to caves where they are held captive. Listen. When it’s completely quiet, you can hear their songs calling out to you to rescue them. “You’re part fairy, aren’t you?” Somewhere on the drive, that line came into my mind and gave birth to the story that would later become my book, The Mists of Na Crainn (not yet in print but hopefully soon). Imagine learning that you were part of a race of people prone to stealing women and babies, among other bad practices, and you never knew it. That became Lyric Doherty’s story, and in the book I introduced her to her classmate, Andrew, whose mother, along with his brother, also went missing, never to be found. I loved writing about a mythical place coexisting alongside of the world as we know it. Sue, your book, Faery Swap, takes those fairy myths to a completely different level. In your story, this mythology is clearly situated in our world, with tension, conflict, and adventure suitable for the middle grade reader. The two boys at the center of the story and conflict each find themselves located on an unfamiliar side of the rift between the Otherworld and our world. Where did the inspiration for your story come from? Sue: I was also driving in the car, oddly enough! (That’s where I seem to find many of my ideas!) I wanted to write a middle grade fantasy, but with science elements. With my background in science and engineering, I always like to bring some of that into my stories – and I love the intersection of the mystical and the scientific because, to me, science is magical! Not only because today’s mysteries are tomorrow’s science, but because the idea that we can understand how the universe works by applying our minds to it is wondrous to me! Kim: I love how you combine science and magik. I work in clinical research, so science is important to me, too. In The Mists of Na Crainn , “pixies” have taken over all the leadership positions in the Village Na Crainn and banned the teaching of all but the most rote and boring information. In pursuit of what they’re not being taught, Andrew introduces Lyric and her friend Saoirse to the Arbor Fair, where forbidden knowledge on science and math combine with the fantastical. Sue: I love the forbidden science! Nice. Kim: How do your characters combine the two? Sue: In Faery Swap, my warrior faeries use knowledge (specifically mathematics and science) to enhance their faery powers – they command the elements but also a dimensional magick just by virtue of their birth as faeries. But their powers are increased when they acquire new knowledge about how the universe functions. In the story, the faeries travel from their Otherworld to Earth, swapping places with humans to steal their knowledge and bring it back to the Otherworld. Our knowledge is literally their power… and I love the message that sends to kids. (Along with a rollicking good fish-out-of-water adventure for both my faery and human protagonists!) Kim, what kind of powers do your faeries have, and how does that affect their interactions with humans? Kim: Our knowledge is their power. That’s literally fantastic. In The Mists of Na Crainn, Fairy have the ability to “soar” in the wind, melt into and move through the mists, use potions, and through a strong connection with nature have the ability to manipulate it, for ill or good. The anti-science “blunt thinkers” not only affect village life, they have a connection to the evil forces in the Otherworld, where Lyric searches for her mother. In Island of the Lost Children, Belatresse the Fairy can fly, shrink down in size (she’s slightly smaller than most children) to fit into a pocket uncomfortably, and, of course, influences child archers to shoot unsuspecting 12-year-old girls out of the sky. Human children know it’s best to stay out of her way, or can easily divert her attention with a couple of packets of granulated sugar. Sue: Ok, all those powers sound like tremendous fun! And I love that the anti-science people are “blunt thinkers!” Thanks for chatting faery (and fairy) lore with me today! 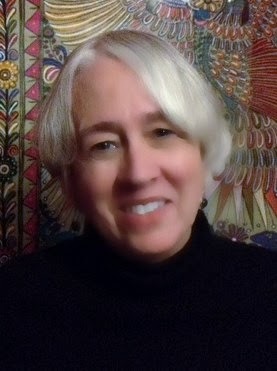 Susan Kaye Quinn is the author of the bestselling Mindjack Trilogy, which is young adult science fiction, and several adult fiction stories. Faery Swap is her foray into middle grade, which is her first writing love. Her business card says “Author and Rocket Scientist” and she always has more speculative fiction fun in the works. You can subscribe to her newsletter (hint: new subscribers get a free short story!) or stop by her blog to see what she’s up to. Fourteen-year-old Finn is tricked into swapping places with a warrior faery prince and has to find his way back home before the dimensional window between their worlds slams shut. Faery Swap is on tour March 3rd – March 21st with a $25 gift card and magick wand giveaways! Sign up here. 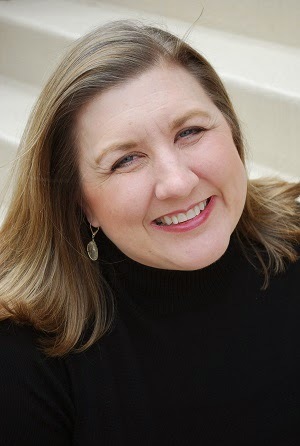 Kim Batchelor writes for children and adults. She writes fiction short and long, real and fantastical, foreign and domestic. Her first published book is The Island Of Lost Children, a re-imagining of Peter and Wendy. 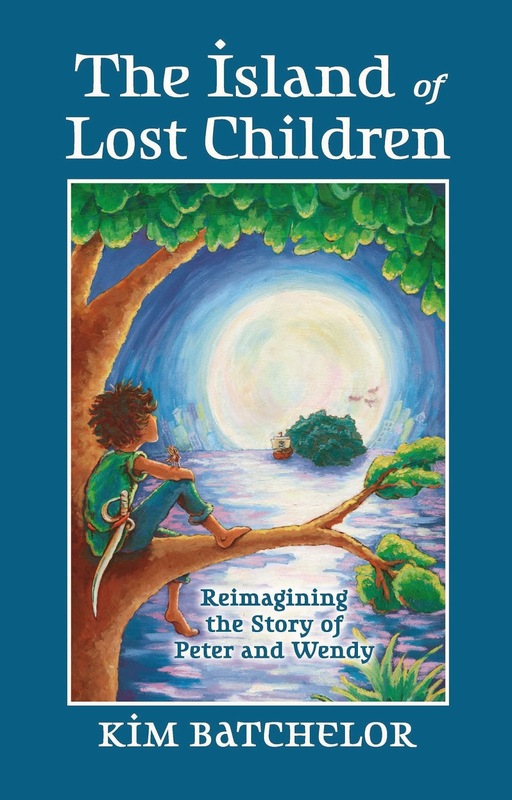 The Island of Lost Children: The story of Peter and Wendy set in modern times. 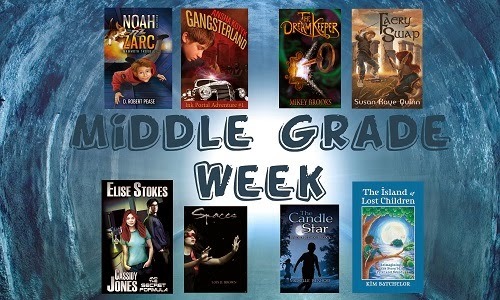 More Middle Grade Coolness coming up this week! Enter the Giveaway below from all the participating authors! 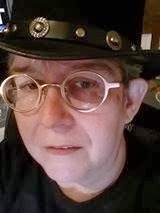 Heather Killough-Walden counts 6 series and trilogies and multiple books within each of these in her body of work as an independent author. I got to know her first Neverland book while researching the market for my own book, The Island of Lost Children , based on the Peter and Wendy story. Heather’s Forever Neverland is for young adults (YA) while I intended my book for middle grade readers. I enjoyed reading her modern take on the story, with Peter on a motorcycle and Wendy and her brothers dealing with the aftermath of their time with him. Heather and I are visiting in a virtual Victorian parlor something like this one drinking hot Irish Breakfast tea (Heather’s with soy milk) and nibbling on sugar-free dark chocolate bars. Come and sit down, have a cup, and listen in on the conversation. Heather’s latest book in the series, Beyond Neverland, is available on Amazon. KB: You have an impressive body of work—series on werewolves and warlocks and other beings that lurk in the night. I understand that you started with a vampire series and your writing career took off from there. Where did your original vampire(s) come from? HKW: I fell in love with The Count from Sesame Street when I was very little. My fascination with the night-dwelling be-fanged just grew from there. KB: What I like to focus on in my blog conversations is exploring what inspires us and where our imaginations take us. What would be the most interesting inspiration you can describe for any of your numerous books/characters/settings? HKW: Well… I’ve been all over the world, but I guess there’s no place truly as interesting as a person’s imagination. My dreams give me a lot of ideas for characters. Sometimes inspiration just strikes out of the blue, with no provocation. Music can also trigger images, as I like to create music videos in my head when I listen to songs. I was listening to Mitternacht when I saw Roman D’Angelo for the first time – gracefully hacking and slashing his magnificent vampire way through his enemies to reach the throne he occupies now. KB: I’m interested most of all in your two Neverland books: Forever Neverland and Beyond Neverland, which you recently released. What sparked your interest in re-imagining that story? HKW: I’ve always felt unsatisfied with the book. I felt as if it opened a door and then wouldn’t let anyone through. It was full of possibilities left unexplored, and fantastic things undiscovered. Especially when it came to Hook. I had never in my life read a more two-dimensional character. I very much felt there was so much more to him than, sadly, because of the way the book was written, anyone even cared to learn. And then I saw the 2003 production of Peter Pan with Jason Isaacs, and that sealed it. It was time for me to tell Neverland’s real story. KB: How did you decide to age and “modernize” those characters? HKW: You write what you know. I didn’t live in Victorian times and I had no desire to reawaken the overly romanticized version of them – they were anything but romantic, after all. They were misogynistic, ignorant, disease-ridden, and backwards. So I brought the characters into a time where they could fully develop and then I sat them down and said, “Okay. Tell me your stories.” And so they did. Hook’s was especially gratifying. KB: One of the most compelling aspects of your book—and this is something that struck me after I finished reading it—is how Wendy’s storytelling is being stripped away from her. I find that aspect of the story powerful and incredibly tragic. So Wendy’s “story inspirations” (Peter, Hook, etc.) rescued her. I’d like to hear your thoughts on that aspect. HKW: It’s exactly what you said. Society attempts to strip away the magic from us, the imagination. The result is a kind of death. This happens to millions of people every day and no one gives a thought to how tragic it truly is. I wanted people to see it – and understand it. Fortunately for Wendy, her imagination was strong enough to step in and save her. KB: I realize after reading your work how Wendy’s storytelling ability has mostly “flown” under the radar. HKW: There are so many talented people out there whose stories will never be read due to the circumstances of how our literary society is set up. Traditional print publishing made it next to impossible. EBook reading devices made it a little easier, but now that market is so flooded, all of those truly talented people are drowning in a sea of people who think they are talented but perhaps are not so much. So the result is the same. Thousands, if not millions, of magical imaginations go unnoticed. I just wanted to shed light on one – just one – and hopefully help some readers to comprehend that if Wendy’s stories are never heard by society, then maybe there are others who aren’t being heard? Perhaps we should attempt to listen a little harder? KB: Given that Kathy Rigby is still touring in Peter Pan, what do you think makes this story so compelling? HKW: Well, to be honest, I can’t see the appeal in a woman playing Peter Pan. At all. However, I think just about everyone sitting in the audience has experienced the desire to fly. All it takes is faith, trust, and pixie dust, right? Who wouldn’t get on board with that? KB: What would your Neverland look like? HKW: If you’ve read the book, then you know. (smiles) But if you’re asking me what my own fantasy world would look like… wow. I’m afraid even I am not a good enough storyteller to convey such wonder. 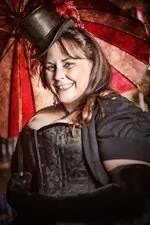 What to ask (or not to ask) your friendly neighborhood steampunk author. Here are some of the mostly commonly asked questions, how Cindy Spencer Pape and Rie Sheridan Rose usually answer and what they’d sometimes like to say. 1) What the heck is steampunk, anyway? Cindy: This is the big one—the one we hear ALL the time. My answers range from snarky (Jules Verne on crack) to oversimplified (science fiction set in Victorian times). For folks my age and over, I sometimes reference the old Wild, Wild West TV show. The long answer, which I never say, is that steampunk is a blend of historical feel and advanced technology. It’s not just a fiction genre, although it certainly is that, but it’s also a mood, a feel, and a thriving social phenomenon. It embodies futuristic technology, sometimes fantasy elements, and a rebellious attitude, along with a return to pride in manufacturing and craftsmanship. Most of all? It’s a whole hell of a lot of fun. Rie: I usually say science fiction/fantasy set in a Victorian time frame. What might have happened if Steam technology had been developed along the times that Verne and Wells postulated? Emphasis is often on adventure and romance, as those are very Victorian tropes. 2) Why write steampunk? And why do you mix fantasy and/or romance elements into your steampunk stories? Or don’t you? Cindy: Again, because it’s fun. I like writing books that I’d like to read. I love mixing history, SF, fantasy and romance. It’s not everyone’s cup of tea, but it’s what I enjoy. 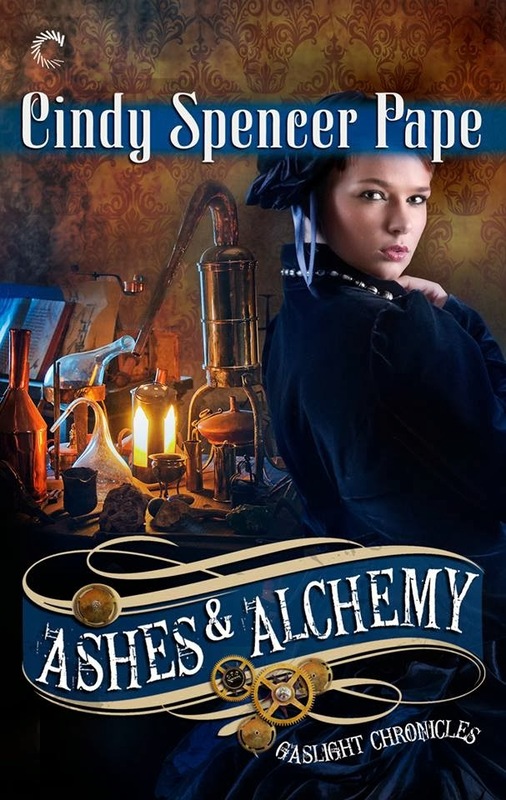 Rie: I started off writing Steampunk as a challenge from my writing partner, but I really enjoy it. I’ve always been an Anglophile, and the Victorian era is so rich in detail and history. Is there any period as romantic in retrospect? The clothing, the manners… Mixing in the concepts Cindy mentioned is very accurate to the period, and adds spice to the writing. It makes for a very fun, open, and exciting genre to explore. 3) What’s the coolest gadget you’ve invented for your books? Cindy: Gee, I’ve had cybermen and networked computers in Victorian London. Typewriter, telephone, germ theory and dirigible are all there ahead of their real time. Rings that eject poison darts and clockwork powered artificial limbs. Beyond all of that, however, the coolest creation in the Gaslight Chronicles world is George, the mechanical dog. George is kind of like Mr. Data on Star Trek. He’s exceeded his components and programming to the point where he’s really more or less a living creature. Rie: My biggest and best invention is Phaeton, the Marvelous Mechanical Man. He is a nine foot tall automaton with self-awareness and superior strength and reflexes. I also have an airship, a Steamcar, and a “Mechano-Velocipede” which are integral to the plot. Since I am only on book one of the series, I haven’t been as creative as Cindy. 4) How much research do you do, or do you make it all up? Cindy: Short answer: Quite a bit. Long answer: I do a surprisingly heavy amount of research for my steampunk stories. I very carefully take the key incidents that changed my world from the one we live in, then I follow those changes and decide how they would have effected everything else in the world where the characters live. In my case, the tipping point is twofold: 1) Magic has always existed and been acknowledged, and werewolves, vampyres, etc. DO exist. Therefore the Order of the Round Table was never disbanded in England and still exists, Knights with extraordinary powers who protect England from supernatural threats. 2) The computer was invented in the 1840s, by a man called Babbage, and is called an analytical engine. (There’s history behind this. Babbage in fact, did design this machine, but it was never built in our world.) Since a woman wrote the code for this machine, women in the sciences were catapulted ahead of where they were in our world. I also do a lot of research on clothing, settings, historical events and figures. In Cards and Caravans, I had to tweak the Scottish legal system, since they weren’t really burning witches in the 1850s. But that means I had to know it before I could tweak it. And maybe, in a world where magic was a known reality, those laws might have been a little different. Rie: Yes, I do. I research the technology to the point where I can make sure it is logical and not impossible. I check dates and events to make sure that I don’t put something in that hasn’t happened yet for no good reason. I research clothing, architecture, foods, etc. Since I am set in New York City instead of the UK, it is a bit easier to find out some things. Cindy: Answer: yes, no, maybe. Much steampunk is YA, and I don’t read a lot of that. I also don’t read a lot of hard SF, where it’s all about the technology and the world. I like my character-driven stories and my romance, so that’s most of what I read. I have read William Gibson’s The Difference Engine, which is one of the seminal works of SF. Also, since steampunk is so maker-driven, there is a lot of self-published and web-original work out there. I read some, but may not have had time to read all of it. Rie: I have read most of Gail Carriger’s work (all of the Parasol Protectorate, but haven’t started Finishing School yet.) Gale Dayton’s Blood books were wonderful. I am way behind, but I will be reading a lot more! 6) Who are your favorite steampunk authors? Cindy: LOL, besides myself? Snark. I love MelJean Brooks, Gail Carriger (except for the book where the main couple breaks up at the end—HATED that one) Kate Cross and Seleste Delaney. There are so many more I need to read, but haven’t yet. Rie: Mostly the two mentioned above, Tee Morris and Phillipa Ballentine, but I haven’t read any of the Ministry novels, just the short story collection. 7) Where can I buy your books? Are they at WalMart? 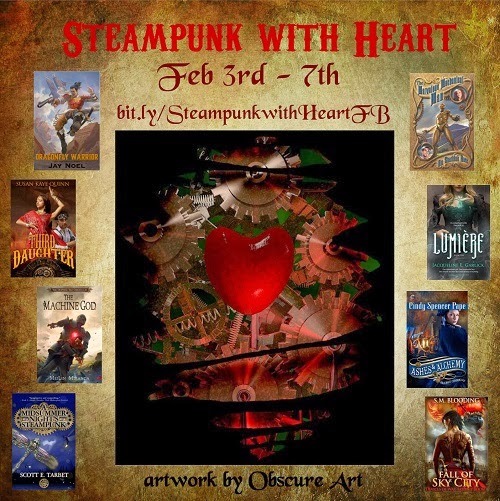 Cindy: My steampunk series, so far, is only in e-book. That’s kind of awkward in a community that wants everything to look like it’s 1885. So yes, you can get them at Amazon, or B&N, or the Carina Press website. No, you can’t get them at the grocery store. Sorry. I wish that wasn’t the case, believe me. Rie: My book is available in paperback, but you have to special order it to get it in a brick and mortar store. It is available on Amazon or Barnes and Noble or through Zumaya Publications. It is also an ebook, and I believe can be gotten at Smashwords and Kobo as well. 8) How many more books will there be? When is the next one coming out? Which characters are in it? Cindy: Truthfully? I don’t know. It depends on a lot. Mainly, sales. That’s the hard reality of the fiction business. The more they sell, the more there will be. A girl’s gotta eat, you know? There are two more on the table with my publisher. That’s all I know at the moment. The characters? Well, that’s up to the publisher, too. Let’s just say there’s one more MacKay sibling and a whole bunch of Hadrians who still need happy endings. Rie: I hope I am just getting started. I am currently working on Book Two of the series, but it is proving a bigger challenge than I thought! It’s my first sequel. Theoretically, it will be out this year…but it has to be written first. All the main characters should be back. I love my characters, particularly my heroine, Josephine Mann. 9) Where do you get all your cool steampunk clothes? Cindy: Thrift shops. (I’m short, so a lot of skirts are floor-length on me, so I cheat there.) Renaissance festivals. The vendors there tend to be awesome, but pricey, so build your wardrobe a few pieces at a time. Catalogs and online companies like Victorian Trading Co., Pyramid Company, Corset-Story and Holy Clothing. Finally, there’s the custom vendors. That’s where things get really pricey, but really, really, cool. I’m not very crafty, but honestly, if you can sew, you have it made. 10) Last question: How do you come up with the ideas for all this far-out stuff? Cindy: Usual answer: No idea. I just have a wild imagination. Snarky answer #1: I’m just twisted like that. Snarkier answer: The idea fairy leaves them in my shower and under my pillow, so I find them when it’s least convenient. Rie: Everywhere. A chance comment can lead to a bit of an idea. One thing follows on another. I might read something and file it away for later. Dreams sometimes. Ideas come from everywhere. You just have to collect them. Rie Sheridan Rose’s short stories currently appear in numerous anthologies. She has authored five poetry chapbooks, and collaborated with Marc Gunn on lyrics for his “Don’t Go Drinking With Hobbits” CD. Yard Dog Press is home to humorous horror chapbooks Tales from the Home for Wayward Spirits and Bar-B-Que Grill and Bruce and Roxanne Save the World…Again. Mocha Memoirs published the individual short stories “Drink My Soul…Please,” and “Bloody Rain” as e-downloads. Melange Books carries her romantic fantasy Sidhe Moved Through the Faire. Zumaya Books is home to The Luckless Prince as well as her newest novel, The Marvelous Mechanical Man. You can find her at her website. 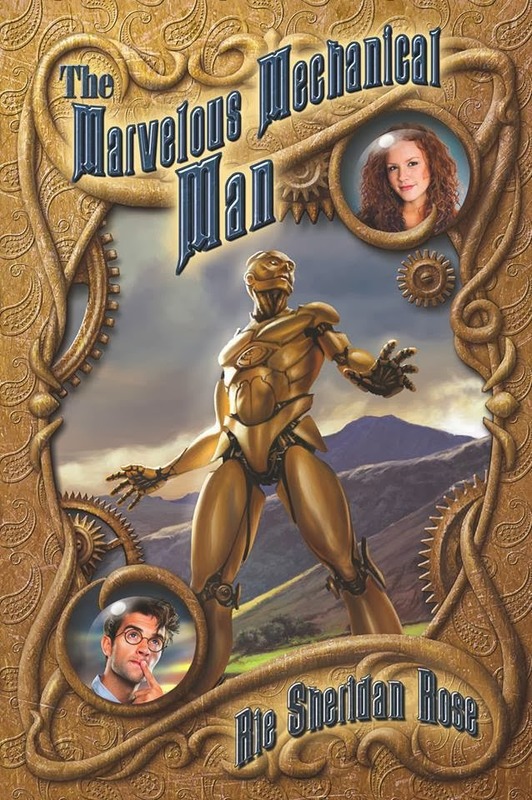 Josephine Mann is down to her last two dollars when Professor Alistair Conn hires her to work on a wonder–a 9-foot-tall automaton Jo dubs Phaeton. When an evil villain steals the marvelous mechanical man, Jo’s longing for adventure suddenly becomes much too real…and deadly. Cindy Spencer Pape firmly believes in happily-ever-after and brings that to her writing. Award-winning author of 18 novels and more than 30 shorter works, Cindy lives in southeast Michigan with her husband, two sons and a houseful of pets. When not hard at work writing she can be found dressing up for steampunk parties and Renaissance fairs, or with her nose buried in a book. You can find her on her website. Police inspector Sebastian Brown served Queen and country in India before returning to England to investigate supernatural crimes. Minerva Shaw is desperately seeking a doctor for her daughter Ivy who has fallen gravely ill with a mysterious illness when she mistakenly lands on Sebastian’s doorstep. Seb sniffs a case and musters every magickal and technological resource he can to uncover the source of the deadly plague, but it’s he who will need protecting—from emotions he’d thought buried long ago.